As we have news, we will share it here first! TWO OFF-ICE SESSION IS BOOKED! Performance Make-up: Tips and Tricks is one of our off-ice sessions this year. We wanted to offer a session on a relevant topic that hasn't been done before! 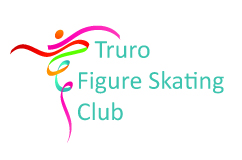 We are partnering with Glow Spa of Truro to provide skaters with an informative session and guided practice on how to apply make-up for the ice, how to use make-up to develop your on-ice character, and more! Those who are not interested in this session will be offered an alternative, fabulous session instead! Creative Movement & Performance Skills has been booked too! Laura Ashley Farrow, former Disney on Ice performer, is leading this session. This is a class designed to build confidence, while encouraging creativity and focusing on coordination, rhythm and personal style of movement and dance. Since performance skills are one of the biggest challenges for skaters (after nailing those elements), this is a great opportunity to improve your performances and really grab those judges! For off-ice sessions: For the Performance Make-up session, please bring your make-up, brushes and other supplies, make-up remover or removal cloths, and a stand mirror so you can see what you're doing. For the day: Bring lots of healthy drinks and snacks to keep your energy high. And, of course, bring your best attitude and sense of fun! Stop by the photo booth in the lobby and snaps some pics as a special memory of your time with us. The Stadium Canteen will be open all day during the event. Apparently the coffee is terrific! There is a Subway next door and we've let them know we will have many, many hungry people that day so they're expecting us. Downtown Truro is a couple of blocks away where you'll find a burger joint (takes time but delicious), a Tim Horton's, a pizza joint (Pizza Market) and a coffee shop (Jimolly's).